Katie Ingle had a great run representing the Midlands at the Home Countries XC International on Saturday. Competing against the best athletes from England, Scotland and Wales Katie finished in 7th place. The results are available here. Tuesdays (26 March) 5-6pm training session for 7-9 year olds has been cancelled due to the ice and snow. Training for all other athletes is still going ahead at this stage. Please consult directly with your coach if you have any queries. The Midland Road Relays have been cancelled due to the snow. Further details are available on the MCAA website here. “On a cold and wet morning 10 RSCAC athletes ran in the Ashby 20 mile race, a traditional London Marathon preparation event. Starting off at a controlled pace Ollie Harradence let a small group of runners take the initial lead, but soon pulled them back and by half way was leading the race by himself. He ran out eventual winner in a time of 1 hour 54 mins. 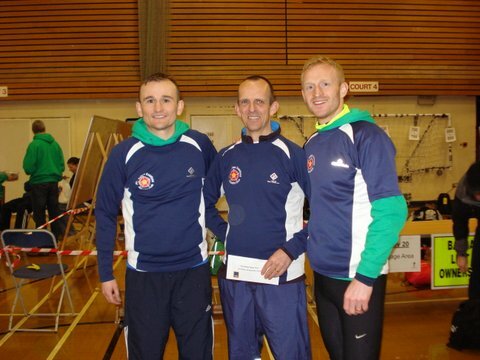 The club also won the team event with Ollie being joined by Russell Simpson (2h 03) and Steve Marklew (2h 05). Royal Sutton were well represented at the English Schools XC Championships at Catton Hall near Burton. The senior girls all ran superbly again with Katie Ingle finishing 7th, Megan McBrien 12th and Rebecca Robinson 40th. This concludes a fantastic winter for the girls who have recorded great placings in all the major regional and national XC races. Georgia Curry finished 78th in the junior girls, whilst Shaun Evans was 104th in the inter boys. Other runners competing for the West Midlands included Joel Kirsten, Kieran Mullis, Theo Larcombe and Laura Richardson – well done all! Results are available here. Videos are available on the Athleticos website here. Look out for our athletes in their West Midlands colours (red vests with the yellow and green band). Janice Pryce was in fantastic form at the BMAF Indoor Championships on Sunday. She retained her W50 triple jump title with a leap of 9.97m and finished 3rd in the long jump with a leap of 4.25m. Congratulations to all the Royal Sutton athletes who represented Warwickshire at the Inter Counties Championships at Cofton Park yesterday. We had 13 athletes competing across the various age groups, with top 100 finishes for Katie Ingle (9th), Megan McBrien (18th), Rebecca Robinson (48th) and Shaun Evans (63rd). A race report and the full results are available on the British Athletics here. Well done to everyone who raced and earned a county vest!